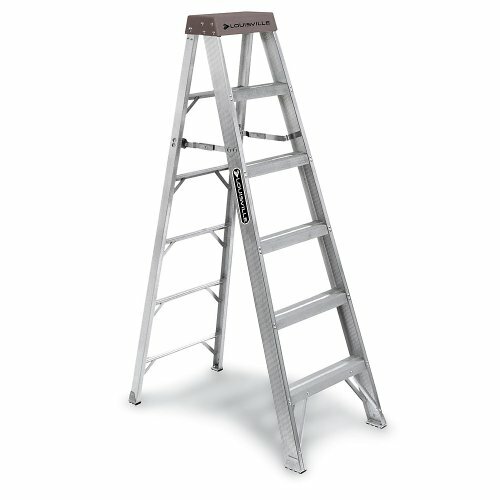 Strong, sturdy LOUISVILLE Type 1A Aluminum Ladders have double-rivet step construction and heavy gusset bracing for maximum stability. Molded top with recessed tool tray. Also include slip-resistant rubber feet, 3"D steps, and inside spreader braces.